In Pueblo, Colorado, home of World of Weed, Drew Willmouth stood in his company’s first light deprivation greenhouse. Surrounding him in his 90’W x 108’L GrowSpan Light Deprivation S1000 Commercial Greenhouse was 10,000 sq. ft of healthy, lush cannabis. World of Weed’s investment deemed to be a great choice. Besides being able to grow the highest-quality cannabis, inclement weather hasn’t hindered their production cycle. While other growers were losing the roofs of their greenhouses, due to one of the worst windstorms in the history of Pueblo, the roof of his greenhouse remained in tack. The greenhouse’s ability to withstand all types of weather took a burden off their shoulders and put a smile on Willmouth’s face. Watch his reaction here. 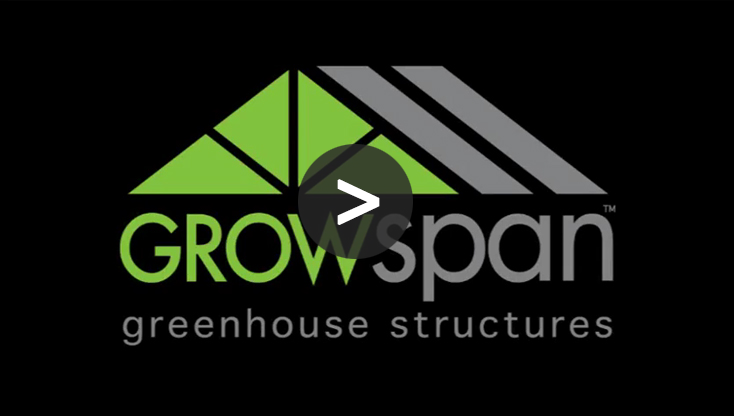 GrowSpan’s S1000 Commercial Greenhouses feature double poly-film atop an arch-roof design that helps reduce snow and ice buildup along with polycarbonate sidewalls. Poly-film is a cost-efficient cover, and the polycarbonate cladding used for the sidewalls ensures strength and durability for year-round use. World of Weed also purchased GrowSpan’s automated Blackout System to enhance their production, and it turned out to be a blessing. The systems allow growers to have complete control over their production’s light cycle. A timer can be set to open the blackout curtain during daylight, providing abundant natural lighting, and close when total darkness needs to be obtained. Since it’s a greenhouse, growers save money on lighting and gain total light deprivation with minimal time and labor needed. Higher-yields and increased profits are the outcome. Smart controllers are a popular way to manage GrowSpan automated blackout systems. Often paired with S1000 Commercial Greenhouses, these controllers allow growers to fully automate all environmental systems in their greenhouse, enabling them to have full environmental control. Willmouth was delighted with how efficient GrowSpan’s automated blackout system makes his operation. Watch his feedback here.